Alicia Quatermain, the well-known adventurer and adrenaline junkie was invited by sir Gringray to a charity ball – a common social event where no surprises can happen. Everything goes horribly wrong when an apparition appears and seizes sir Gringray’s family relic, the Sword of Seven Seas! 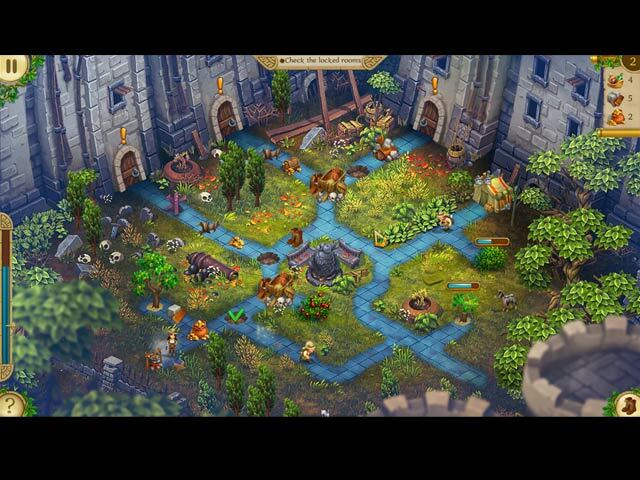 Will Alicia agree to help sir Gringray retrieve the sword, or is she serious about leaving the adventuring lifestyle behind? Find out in Alicia Quatermain 3: Mystery of the Flaming Gold Collector’s Edition! 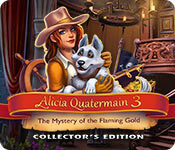 Alicia Quatermain 3: The Mystery of the Flaming Gold Collector's Edition is rated 3.9 out of 5 by 17. Rated 3 out of 5 by Tybarius from How did this get past beta testing? There is no widescreen option when windowed therefore when in windowed mode things you need to complete levels are not visible, level 33 to be specific, a fuse you need to complete the level is off screen to the right. There are other examples at least two others so far. Too bad I was really enjoying the game till I ran into that window problem. 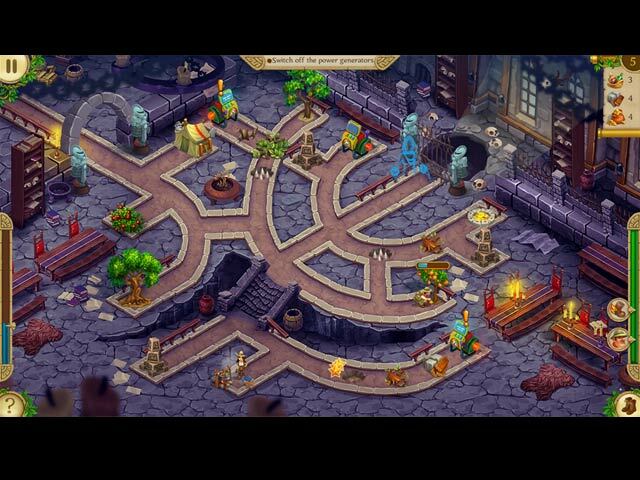 Rated 3 out of 5 by tabitham from Fun game but not CE worthy Its a fun game to play if you like TM games. The only thing is that its NOT worth the CE. The only extra thing are the wall papers ( which I never use) and 11 extra levels. So , double the price but not double the fun. Rated 3 out of 5 by petergee from What makes this a collector's edition? The game is ok and is a follow-on from others in the series. However, why is this a collector's edition? It costs nearly twice as much and gives you what extra? some wallpaper - oh lovely (sarcastic mode on!) maybe an extra level? It cannot see how these types of TM games can justify having a collector's edition when essentially the game play and end of the game is exactly the same. In HO games, you get a least an extra bonus game/chapter and morphs or collectables within the Collector's Edition version. I've never considered artwork or wallpaper/music as reasons to buy a Collector's Edition. 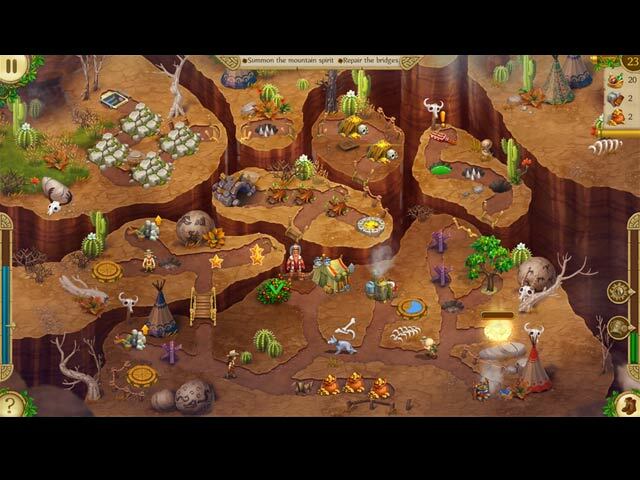 I tried the game and quite like it - seemed to be at the right level of difficulty after the first few levels. Have deleted it as I wait for the standard version. Rated 2 out of 5 by beltie from Am I playing a different game? The only thing I found cute about the game is the Dog. I found it incredibly simplistic and mind-numbingly boring. Sound was terrible. Graphics were not clear and crisp to me. The Icons were small and hard to see and some screens were quite dark. Couldn't even find the puzzle pieces. The constant interruptions from the tutorial were exceedingly annoying, as it stopped what flow there was. Controls were not always crisp either. Quite frankly, I'm perplexed by all the high reviews. Of course, everyone has different taste and everyone's review is of value. This is a definite NOT for me. Didn't even go past the 8th Level and I always play the Full Trial to give a game a chance. Again, am I playing a different game then everyone else?? P.S. I do own the first one and downloaded the second just to see if something had changed. Second was the same as the third. If you enjoyed those two, you will enjoy this one. Rated 2 out of 5 by lindolite from bonus levels? I see only 4 bonus levels? Disappointing after paying double for collectors edition.